Have you've been looking for your tribe? Milspo Project is a community of military spouse entrepreneurs meeting in-person, online, and in between to level up in business and life. Maybe you've been struggling to find meaningful work as a military spouse? If so, you are not alone. Through the power of entrepreneurship, many military spouses are taking their careers into their own hands. Want to learn how the continuity, flexibility, and satisfaction that comes with running your own business might be right for you? Milspo Project is a fun and generous, global community of military spouse entrepreneurs. Together we are embracing the unpredictability of this beautiful thing we call military life. We're redefining what it means to be a successful milspouse business owner in today's world, guided by our member-centered mission. Our members are not only making positive changes in their lives, but are positively impacting their communities. Started in 2014 with a dream to connect the military spouse business community, Milspo Project has grown to become the largest military spouse-member business organization in the country. Today, more than 450 military spouses connect daily online and in person. We believe in a future where all military spouses have a seat at the table, are able to pursue their passions, and do professional life on their terms. Young or old, from newly married to veteran spouses, each week we share the collective voice of our leadership community though our video and media series, Milspo Rising™. 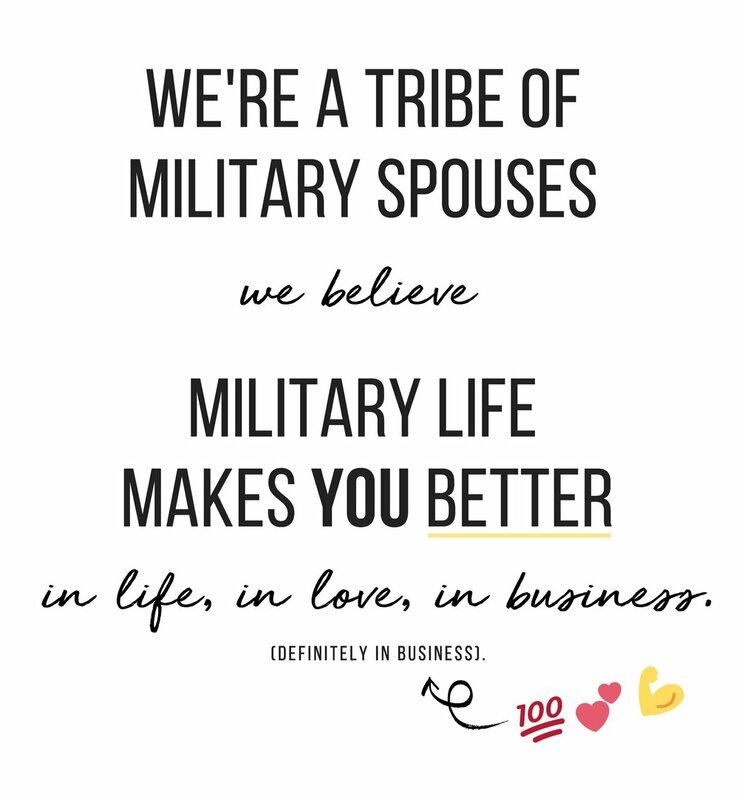 To the military spouses, parents, makers, fitness lovers, coaches, founders, veterans-turned-spouses, photographers, retailers, business women, personal growth junkies and newbies to military life: we've been waiting for you. Through our virtual meet ups, annual events, workshops, and resources, we're growing in our shared experiences and changing what business success means for military spouses around the world. We're leveraging our military experiences to be more effective leaders in our businesses and lives.